Social networks for special interests is an important category of sites to be aware of. According to Tech Crunch, “interest-based social networks focus first on an individual’s interest graph and Facebook centers on an individual’s social graph.” I like the way they put that. Let’s face it, Facebook is the giant in social media. However, other, more targeted, social networks have the opportunity to reach a more targeted segment of the population and engage them vertically or horizontally, based on their interests. Vertical, or subject-themes networks such as Foodspotting or Fitocracy, “create strong, loyal communities that can be valuable targets for brands.” Horizontal networks that offer a different interaction model, such as Pinterest or Quora, cover a broad range of topics, but can be more easily segmented into specific targets. 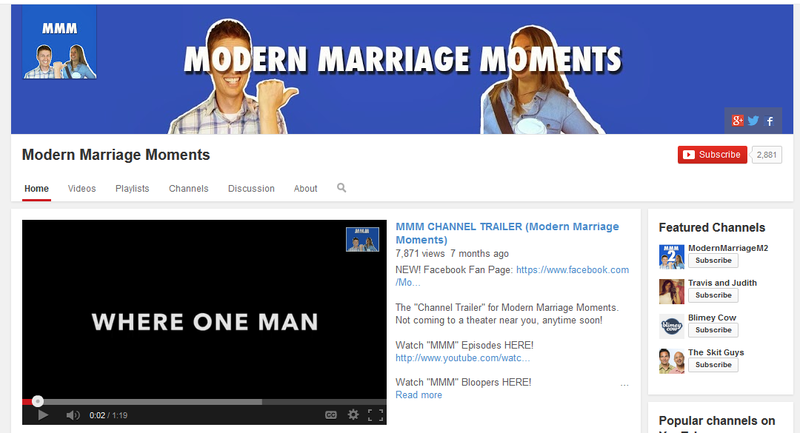 A video sharing platform offering online Christian videos with faith-based, family friendly content. Popular video sections on Godtube include; Christian bands and singers in Christian music videos, Christian comedians and comedy skits, spoofs and parodies in funny videos, cute videos featuring kids and animals, sports videos, Christian news videos and inspirational videos. Be inspired in your walk with Jesus Christ and grow in your knowledge of the Bible with videos highlighting inspirational messages and verses. 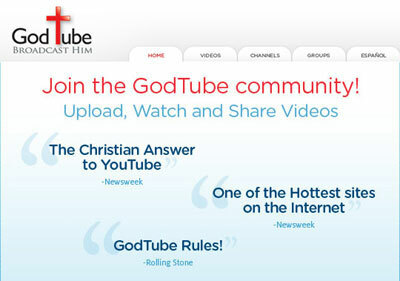 GodTube is a video sharing social network for Christians. It “focuses on Christian-friendly videos and filters out profane or sexual references.” GodTube became the single fastest-growing site on the Web just after launching in August 2007 with an average of 2.7 million users each month. Chris Wyatt, the company’s founder, initially began the channel using a $300 script. It grew, quickly, and the company raised $300 million to expand in 2008. Mashable referred to GodTube as a “fairly blatant clone of YouTube, but marketed towards the faith-based community.” I agree. There is very little difference from social platforms with better features (like YouTube), except GodTube’s target market is Christians. 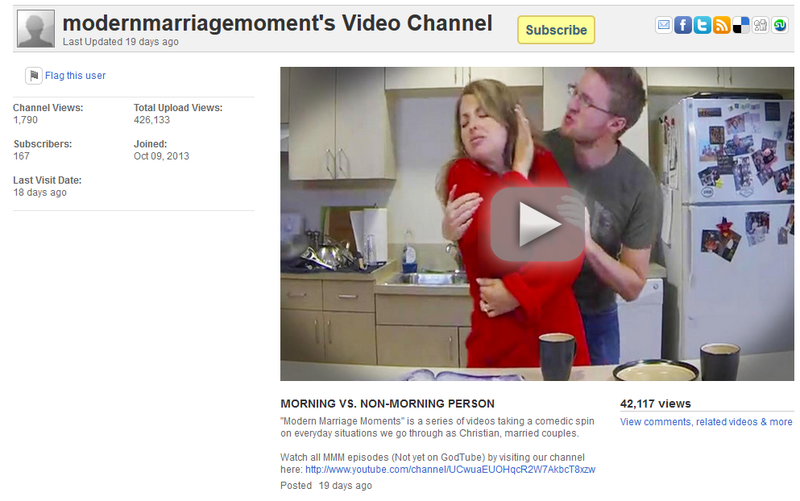 Like YouTube, users on GodTube can create a profile and upload video content to share. However, there are several differences between the two platforms. 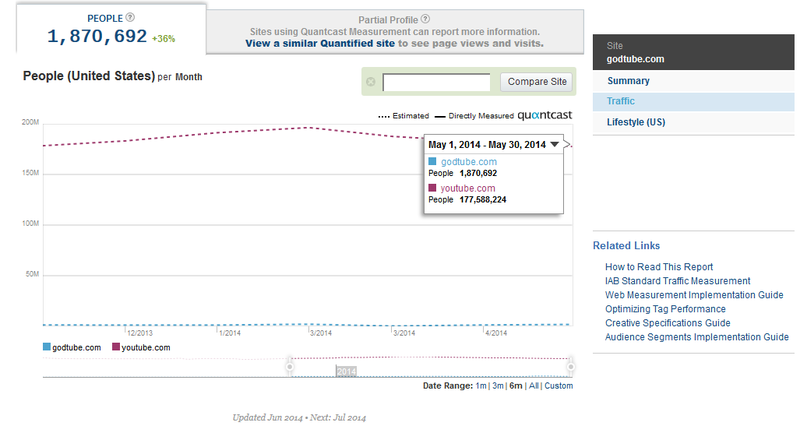 GobTube’s profiles are less visually appealing, not allowing for personalized banners. As you can see, on this same user’s YouTube page, they are able to have a more personalized channel and can choose which video to highlight at the top, instead of just the most recent. Interestingly, this user has far more subscribers on their YouTube channel but a lot more views on the GodTube channel. Herein lies the greatest asset of GodTube. By targeting the Christian market, it has a built-in audience. Integrated sharing on other social channels helps expand GodTube’s reach, thus creating more users. It’s how I discovered the site and signed up to receive updates. While GodTube has a variety of share buttons, a very active Facebook page, and uses very effective email marketing as a part of its integrated marketing efforts, the inability of its videos to be directly embedded and shared in the same user-friendly ways YouTube videos can, stunts its reach, in my opinion. Frankly, it’s just easier to use YouTube — especially if I can find the same content on YouTube and share content more easily as a creator. In March of 2009, GodTube tried to break into a more secular audience market by rebranding their social network as “tangle.” In doing so, they confused and were not listening to their current audience and, eventually, decided to return to their roots and the GodTube brand. 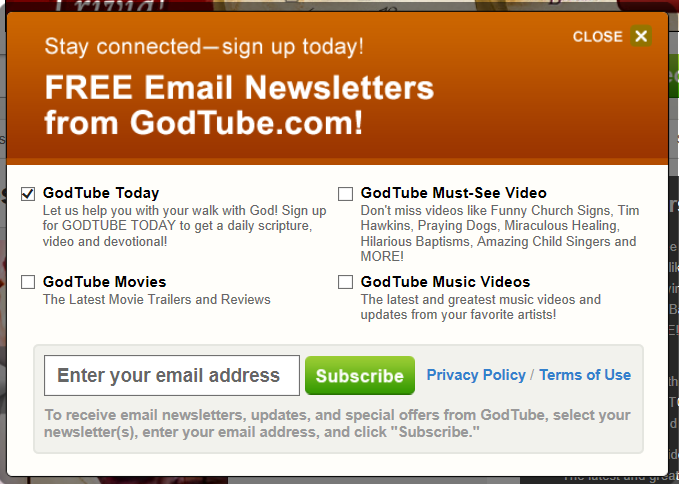 GodTube currently partners with churches and other ministries to help promote their messages of faith and hope. One of the main criticisms from GodTube’s fans is that they can’t watch videos from their iPhones, and GodTube needs an app. I couldn’t agree more. For this content-sharing network to become more of a social network, development of an app is essential. If they were to develop an app, I’d love to see them incorporate some form of proximity marketing. GodTube could easily partner with local churches to help users find a church. They could also use proximity marketing to let users know where the churches are that are creating their favorite content. Looking at the data, comparing GodTube to YouTube, there really is no comparison. YouTube’s 177 million+ monthly unique users dwarfs GodTube’s 1.9 million. While GodTube has certainly created a niche in the video sharing market within the Christian community, there is still a lot they can do to distinguish themselves and improve their channel to better serve both their users and their message.